Lancia's D50 project proved to be a worthy pursuit in the hands of Ferrari. Scuderia Ferrari had a highly successful season in the 1956 Formula One racing. It climaxed with Fangio becoming the World Drivers’ Champion for a fourth time. Both Collins and Fangio had raced in a long-nose D50 at the Nurburgring in the German Grand Prix. That was the only appearance that the long-nose D50 made during the 1956 F1 racing season. CMC offers you a meticulously hand-crafted replica of the highest quality, which brings to life in miniature the long-nose Ferrari D50. As the seventh race of an eight-round contest for the 1956 World Championship, the German Grand Prix took place on August 5 at the Nürburgring. As the F1 season was coming close to a conclusion, Peter Collins was leading in the drivers’ standings with one point ahead of Juan Manuel Fangio, a teammate from Scuderia Ferrari. Over Jean Behra, who was racing for Maserati, Collins had a four-point lead. All three stood a chance of contending for the championship title, whereas Stirling Moss was already too far behind to win the title on his own. Peter Collins, a young Brit, started off in a “long-nose” Ferrari, so did his team-mate Juan Manuel Fangio. The long nose not only gave the D50 a strikingly sleek appearance, but also improved its aerodynamics. A green strip that encircled the tip of Collins’ long-nose D50 helped the pit crew identify the car during the race from Fangio’s long-nose. In the qualifying practice, Fangio won pole position by 0.3 seconds ahead of Collins. Castetlotti, another teammate from Scuderia Ferrari, took third place by 3 seconds behind. About ten seconds later, Maserati driver Stirling Moss managed to qualify for fourth place. The race lasted 22 laps. After the start-off, Collins took the lead, only to be surpassed by Fangio during the first lap. Fangio was able to maintain the lead until the very end of the race. An error committed in the heat of racing compelled Collins to retire prematurely. Only seven out of the nineteen racers crossed the finish line, and the top five winners were awarded championship points. This put Fangio comfortably ahead of Stirling Moss, who came in second and crossed the finish line a few seconds ahead of his Maserati teammate Behra. In the drivers’ standings Collins lost the lead, but he was still in a position to stage a comeback in the last GP race and win the championship title. 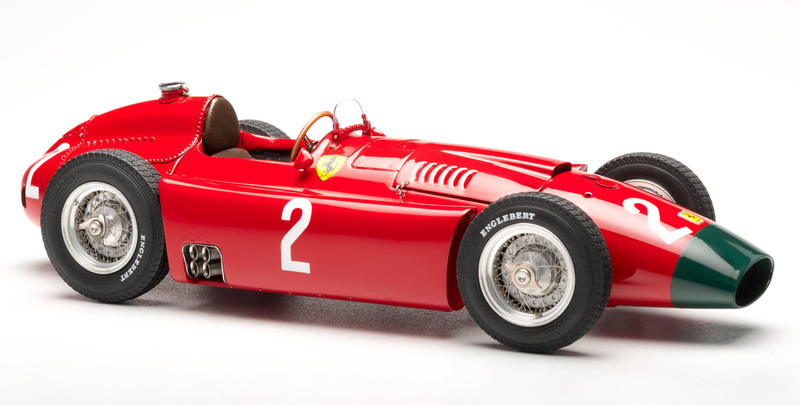 Tags: #2, 1956, 1:18, 1:18 Diecast, CMC, Collins, Ferrari, Ferrari D50, Figurine, Gp Germany, Model Car. This 1:18 Le Mans Miniatures Jochen Rindt figurine is of the highest quality and excellent detail. Being professionally hand painted and made of Resin, Jochen Rindt was a German driver whom participated in several races such as 24 Hours of Le Mans, winning the 1965 Ferrari 250LM race. He started his first Formula 1 season at Cooper, who teamed up with Maserati in 1966. In 1969, Rindt joined the Lotus team, proving to be a worth successor of Jim Clark who tragically died the year before on the Hockenheim circuit. In 1970, Jochen Rindt won 5 races, but was killed during the preliminary tests of the Italian GP Monza at age 28. His lead in the championship was so considerable he could have finished the season as a World Champion, being the only driver to date to have been crowned World Champion posthumously. Rindt as been reproduced according to the famous photo taken by Rainer W. Schlegermich. He is sitting in a camping seat, a cigarette in his hand and a bottle of soda waiting at his feet during the middle of a discussion with Colin Chapman, the Lotus Team Manager. Tags: 1:18, Figurine, Jochen Rindt, Le Mans Miniatures, Resin. This 1:18th Scale Phil Hill figurine by Le Mans Miniatures is of very high quality. Crafted in Resin and hand painted, Phil Hill is the only driver born in the United States to win the 24 Hours of Le Mans and to have been the F1 World Champion. Between 1953 and 1967, he participated 12 times in the 24 Hours of Le Mans, of which he won in 1958, 1961 & 1962. He retired after his victory at Brand Hatche on 31st July, 1967. Tags: 1:18, Figurine, Le Mans Miniatures, Phil Hill, Resin. 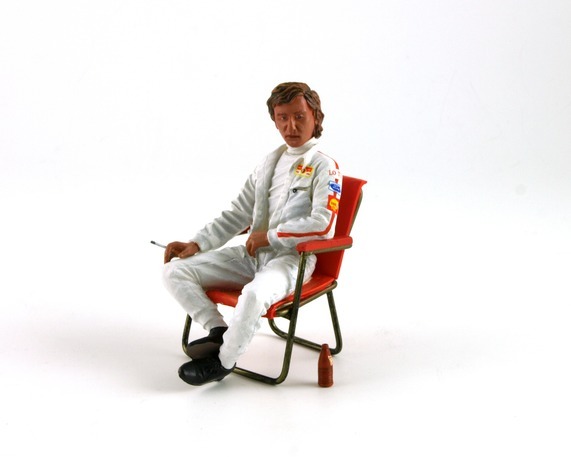 This 1:18th Scale Jo Siffert Figurine by Le Mans Miniatures is of very high quality. Crafted in Resin and hand painted, Joseph Siffert was a Swiss driver who won great victories in the Formula 1 races with enviable endurance. Siffert tragically died from asphyxiation in his car at Brand Hatch, October 1971. This miniature depicts him sitting on a Lotus wheel, with the cross of the Swiss flag that adorns his helmet, wearing around his neck two pairs of racing glasses. Tags: 1:18, Figurine, Jo Siffert, Le Mans Miniatures, Resin. This 1:18 Jim Clark Figurine by Le Mans Miniatures is of very high quality. Crafted in Resin and hand painted, this figurine also comes with Helmet and Glasses and also the ability to stand upright without a base. Jim Clark was a Scottish driver who began his car racing career in the late 1950s. He was noticed by Colin Chapman, the founder of the Lotus team, who offered him a Formula 1 racing truck in 1960. Clark won his first World Championship in 1963, but sadly died in 1968 on the Hockenheim Circuit. Tags: 1:18, Figurine, Jim Clark, Le Mans Miniatures, Resin. This 1:18 Jacky Ickx Figurine by Le Mans Miniatures is of very high quality. Crafted by Resin and hand painted, Jacky Ickx is the most famous Belgian Car driver whose career began in the 1960s. After winning 8 Formula 1 Grand Prix’s, he went on to be the record holder of the 24 Hours of Le Mans race until 2004. This figurine is shown to be sponsored by the car of which he won his first victory at Le Mans, the Ford GT 40 no.6 of Team Gulf. 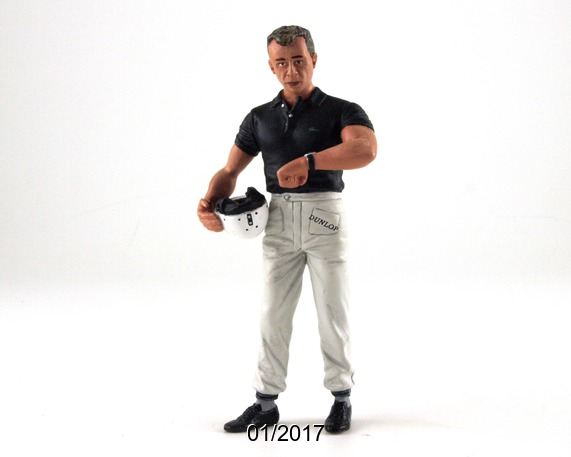 Tags: 1:18, Figurine, Jacky Ickx, Le Mans Miniatures, Resin. This 1:18 Didier Pironi by Le Mans Miniatures is a hand painted Resin figurine of high detail and quality. French car driver Didier Pironi won one of the most prestigious races – the 24 Hour Le Mans in 1978, among many others such as being Vice-Champion of the World Formula 1. He raced for the biggest car brands of the 70s in both Formula 1 and Endurance like Tyrrell, Ligier, Ferrari Porsche and Alpine Renault. Pironi died at the wheel of his boat the “Colibri” in August 1987. This figurine comes with a Helmet with Haribo Livery. Tags: Didier Pironi, Figurine, Le Mans Miniatures, Resin. The 1:18 ‘Manfred’ the Mechanic with Pit Board figurine by Le Mans Miniatures is of very high quality and immaculate detail. Hand painted and crafted in Resin, Manfred was one of the first mechanics to be seen in the early 1950s around the 24 Hours of Le Mans track. Thanks to his pit board, he gives the drivers indications concerning their position in the race, and also any instructions the team manager may have. Manfred is depicted holding a sign that says “RG”, or “Rückgang” which means to slow down. Tags: 1:18, Figurine, Le Mans Miniatures, Manfred, Mechanic, Resin. This 1:18 Race Director figurine by Le Mans Miniatures is of very high quality. Crafted in resin and professionally hand painted, the Race Director is responsible for the smooth running of a competition, whether it be Formula 1, Indy cars, Endurance or Coastal racing. This figurine is a reproduction of a race director from the 50s to 70s – a touch of a smart, classy man but also a sense of seriousness that animated the world of motor racing during those years. This figurine can be applied to any motor racing diorama, serving as a director for any race. 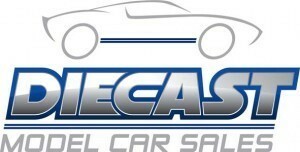 Tags: 1:18, Figurine, Le Mans Miniatures, Race Director, Resin. This 1:18 Photographer named ‘Robert’ is a resin figurine produced by Le Mans Miniatures. Robert the Photographer is a classic character representative of the 50s and 60s, wearing a brown jacket and bright blue trousers, taking a picture with the famous Rolleiflex camera. This amateur (or professional) photographer could have been spotted around the track of the Le Mans circuit, immortalising the race or perhaps in the pits to take on the live action as it unfolded. He could even be spotted near the grid girls, who are competing near the cars for the photographers attention. This figurine is exceptionally well detailed. This high quality piece is also crafted in resin and hand painted. Tags: 1:18, Figurine, Le Mans Miniatures, Resin, Robert the Photographer.